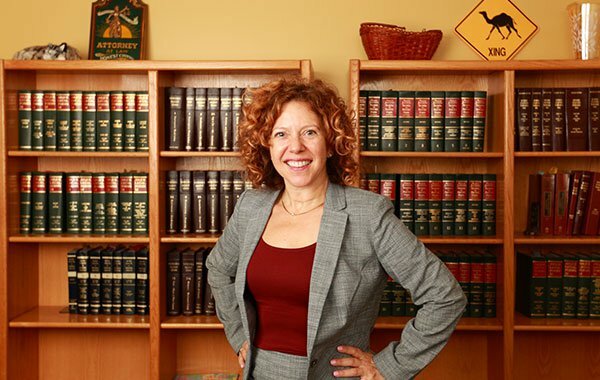 Jill Abrahamson joined the Abrahamson Law Firm in 2013. Jill obtained a Bachelor of Arts degree in literature from the University of Nebraska at Omaha and graduated in 2000 from Golden Gate University School of Law in San Francisco. She is a member of the California, New York, and Nebraska State Bars. In San Francisco, California Jill worked in both state and federal court on misdemeanor and felony criminal matters and also practiced civil litigation. In New York City she practiced as a court-appointed criminal defense attorney with the Legal Aid Society in the Borough of Manhattan, represented union members regarding various employment matters, and negotiated transactionally and contract issues for musicians. In Omaha, Nebraska she previously worked with Metropolitan Community College advising the President on policy, union, and other employment matters. Just prior to joining the Abrahamson Law Firm Jill volunteered in Nepal with two organizations, Prisoner’s Assistance Nepal and the Legal Aid Consultancy Centre, both founded and managed by women. Both are non-profit organizations that focus on rights for poor and disadvantaged women and their children. Prisoner’s Assistance Nepal is an organization based in Kathmandu, founded by Indira Ranamagar who is tirelessly devoted to assisting the criminally accused and their children, and The Legal Aid Consultancy Centre, an organization based in Lalitpur that focuses on legal representation, policy advocacy and political activism by and on behalf of women. Having worked with economically disadvantaged people for nearly her entire professional life, and after personally experiencing the challenges women face professionally and in family law proceedings, Jill is a champion for women’s rights and a staunch believer in fundamental fairness for everyone. She practices in the areas of family and juvenile law, and criminal defense. She is a member of the Criminal Justice Act Panel for the District of Nebraska and accepts court-appointments as defense counsel in criminal cases and as counsel and guardian ad litem in juvenile court delinquency and dependency cases. Jill also has experience consulting with small businesses on employment issues and negotiating transactional matters.